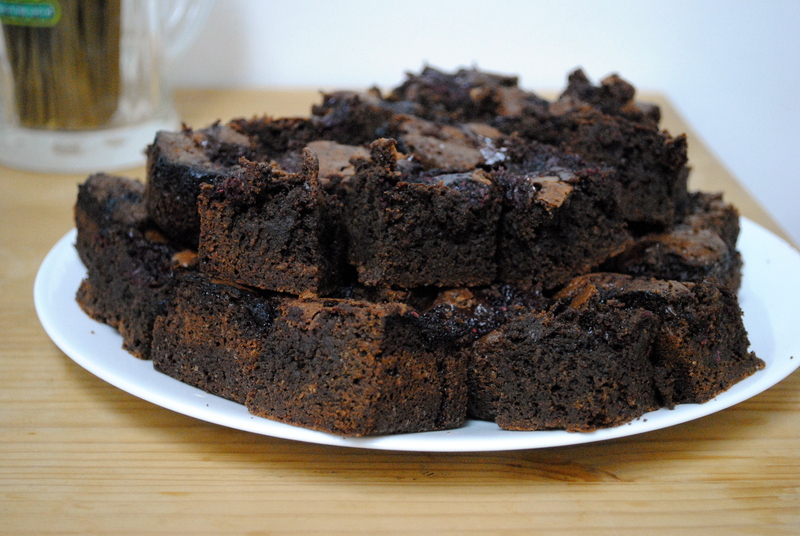 There’s no denying the allure of chocolate and berries. Really any berries will do, although strawberries and raspberries seem to have the most natural affinity for chocolate, my preference being dark. When the slightly bitter chocolate meets the natural sweetness of berries, some sort of chemical reaction takes place and the whole becomes greater than the sum of its parts. If I had my druthers, chocolate would always be served with fruit. Or salt, but that’s another story. 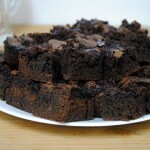 Brownies, so often made from a box, are simple and divine when made from scratch. Now add raspberries to that mix and they go from bake sale worthy to a pure treat, as well suited for an afternoon snack as the finale to an elegant supper. I used frozen raspberries, but fresh is always best. Although the wave of holiday parties is almost over, these would make a great addition to any potluck, any time of year. Preheat the oven to 325°F. Line a 9-x-13-inch baking pan with foil and butter the foil. Set a heatproof bowl over a pot of simmering water. 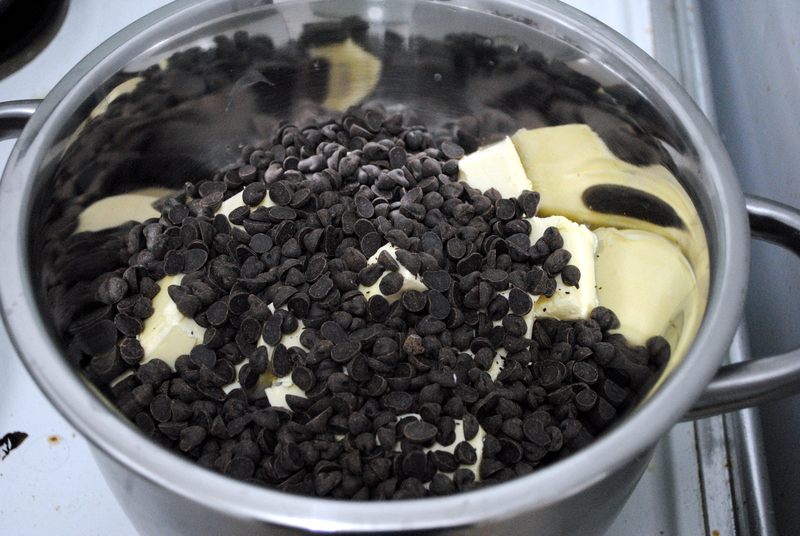 Put the butter in the bowl, top with the chocolate chips, and stir occasionally until the ingredients are just melted (you don’t want them to get so hot that the butter separates). Remove the bowl from the pan of water. 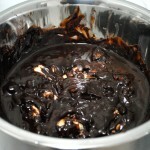 Stir in the sugar with a whisk or hand mixer. 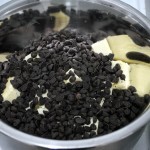 The mixture might get grainy, but it will even out. 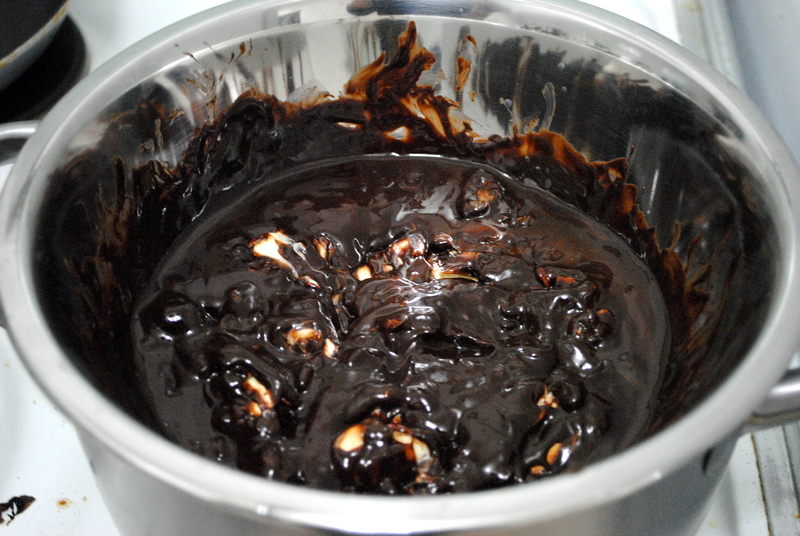 Whisk in the eggs one by one, then add the vanilla and whisk enthusiastically to smooth the batter. Gently whisk in the salt and flour, stirring only until incorporated. Scrape the batter into the pan and smooth the top with a rubber spatula. 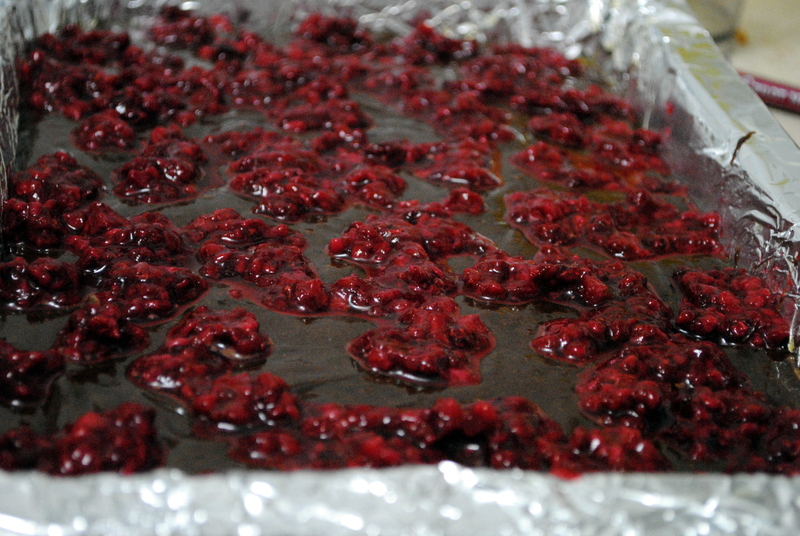 Scatter the raspberries over the batter. 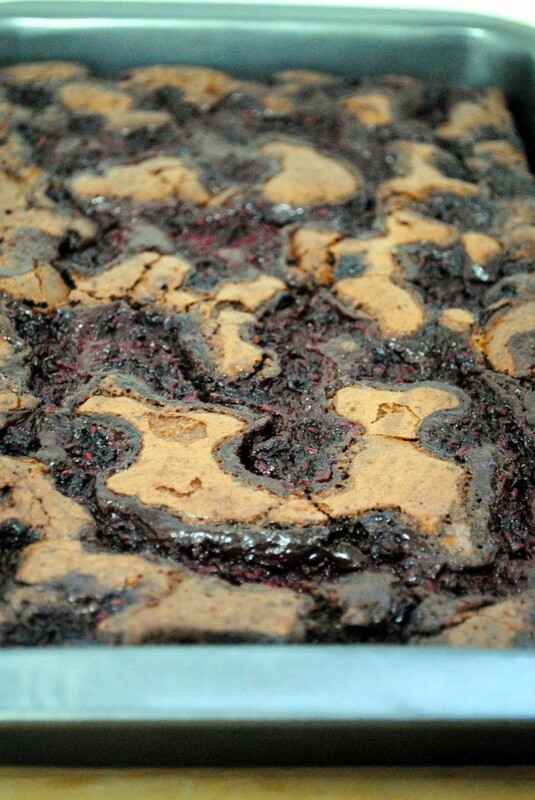 Bake the brownies until the top is dull and a knife inserted into the center comes out clean, usually about 1 hour. 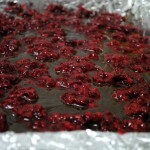 Transfer the pan to a rack and cool the brownies to room temperature. When they are completely cool, turn out onto a rack, peel away the foil and invert onto a cutting board. Cut into about 32 pieces.